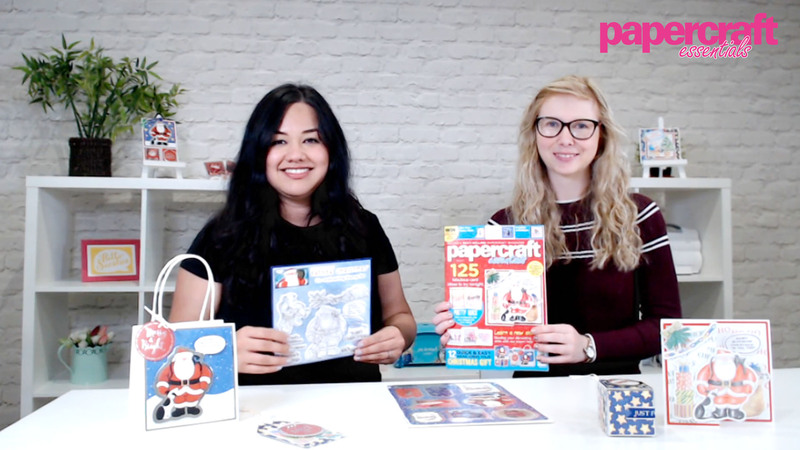 We’re so excited to be featuring two Raymond Briggs Father Christmas gifts! These two generous gifts come with issue 167. 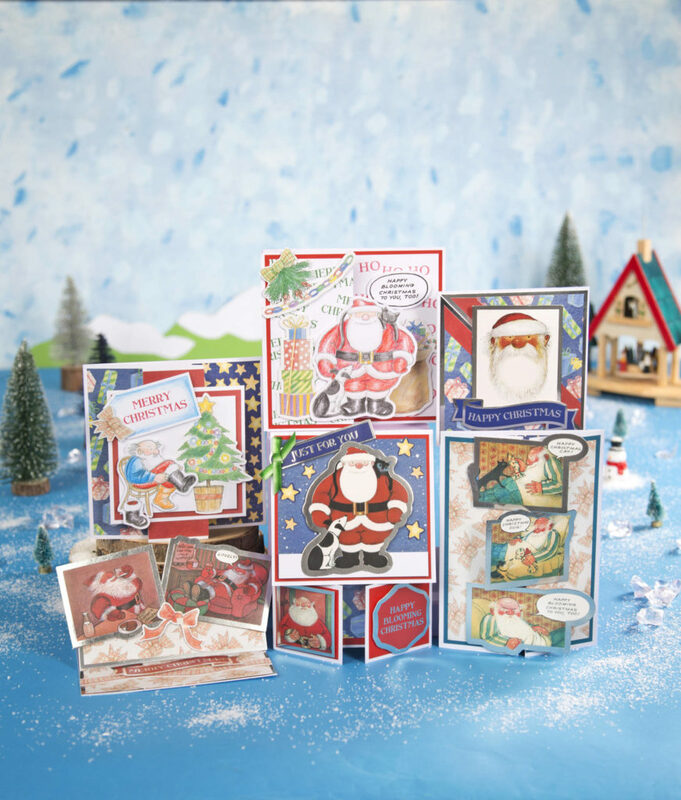 The first is a 9-piece stamp set with some fun sentiments and Father Christmas himself! The second gift is a silver foiled paper pack. It coordinates perfectly with the stamp set and some of the elements are punched out for quick crafting. No fussy cutting required!